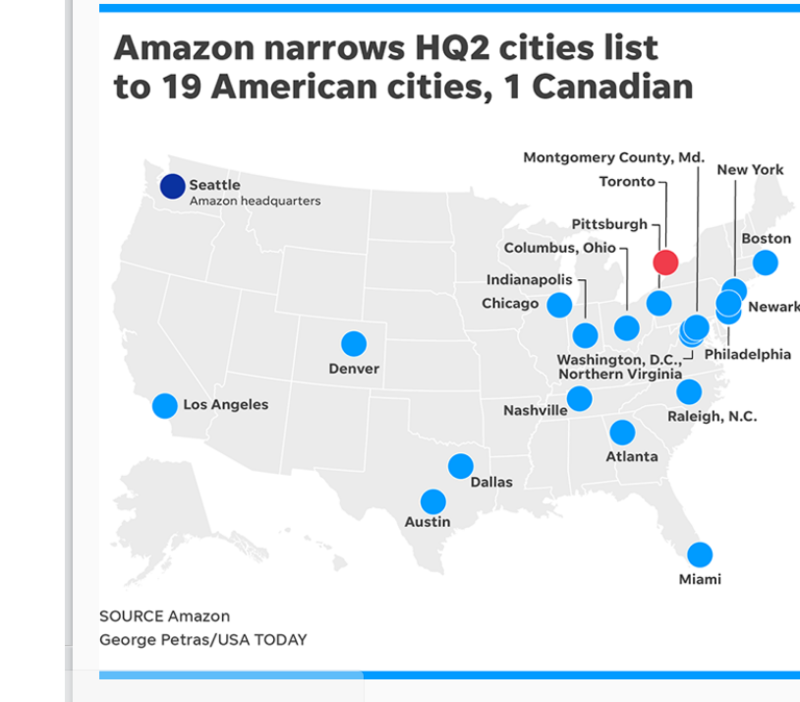 TEXAS – Amazon says it has narrowed the list of places for its second headquarters to 20. Amazon says it will spend $5 billion in the area where it builds its second headquarters and will employ 50,000 there. The company previously said it was looking at metropolitan areas with 1 million people and a stable, business-friendly environment. The remaining 20 places are listed alphabetically.